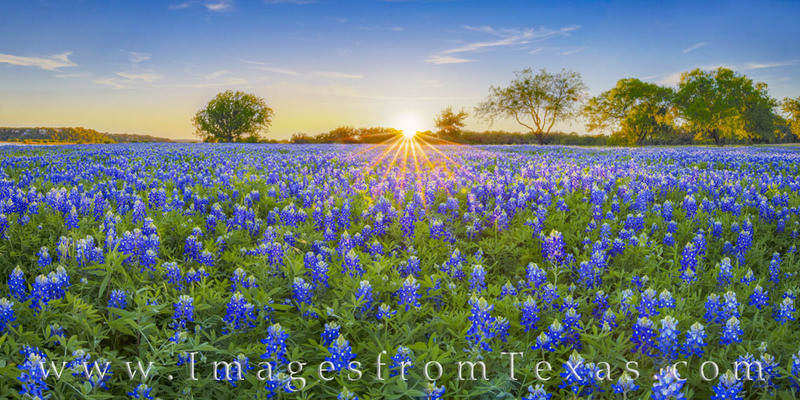 This bluebonnet panorama along the shores of Lake Travis was created using eight different images in order to show both a wide angle and to achieve maximum sharpness throughout the landscape. This last day of March provided a stunning view of Texas’ favorite wildflowers as they filled this area with blue and white blooms. On my hour long drive home, I was reminded of this beauty as the aroma of bluebonnets lingered on my clothing. This experience was a nice way to spend an evening.